AAC: Thanks very much for taking time with our readers. Before we discuss the science in your paper, I’d like to ask you a few “process” questions. Can you tell us how you came to do this work? I’ve found that personal experience is the impetus for some researchers, either their own or a family member. Do you have a personal interest in food allergies or was it pure scientific curiosity? Derek: This work began roughly three years ago actually. Professor Stephen Quake has always pursued clinically-relevant projects and at the time, techniques for studying single cells were maturing in the lab. These two factors, combined with Dr. Kari Nadeau’s clinical expertise and my interest in food allergies paved the way for our idea to study the rare B cells that produce IgE antibodies responsible for food allergies. I think my personal motivation also likely played a part–I have a severe milk allergy myself. AAC: Would you give our readers some insight into how you think? What were the factors that led you to your hypothesis for this study? What previous research provided the building blocks? 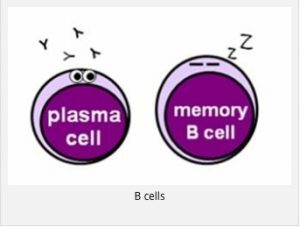 Derek: From studies of humans and mice dating back decades, it has been known that B cells produce antibodies and that a specific class of antibodies, IgE, causes allergic reactions through interactions with other immune cells such as mast cells and basophils. However, studying the B cells that produce IgE antibodies has been a longstanding challenge due to their scarcity. By our estimates, B cells producing IgE antibodies can be as rare as one in ten million white blood cells! We thought that a new technique, called single cell RNA-sequencing, could allow us to capture these rare cells and study their antibodies. AAC: This an extraordinarily rich paper—meaning there’s an awful lot I don’t understand—so I’m just going to focus on a few areas. B cells come in multiple subtypes including naïve and memory, which do not secrete antibodies, as well as plasmablasts and plasma cells, which do. As described in the Gould article, the IgE plasmablasts you discovered seem to learn their allergen specificity from other cells—on the job as it were, instead of at the factory. This gives them an advantage because they can go right to work pumping out new IgE when challenged. This is a good thing when there’s an infestation of helminths, which require a heavy-duty response. But it’s a problem when the target is a harmless allergen because it causes a reaction disproportionate to the threat. Am I correct in my description? Could you elaborate? Derek: There are multiple interesting points there to unpack. In contrast to other antibody classes, such as IgM or IgG, most of the IgE B cells we found were plasmablasts, meaning- as you said- they were actively secreting IgE antibodies, many of them peanut-specific, into the blood when we isolated them. This is interesting because it suggests a bias in the fate of IgE B cells towards antibody-secreting plasmablasts. The question of where these IgE plasmablasts came from is more challenging to answer because we only have a single time point from each of the individuals in our study, but a large amount of research in mice and some in humans suggests that other antibody classes have a role in allergic “memory.” I think the method we developed using single cell RNA sequencing will help further answer these types of questions in humans going forward. AAC: I think the most interesting thing about your paper is that it begins to explain how tendencies to specific allergens are inherited. You isolated identical gene sequences – converged sequences — from two unrelated patients with peanut allergens. I know that sickle-cell anemia started out as a defense against malaria, but it’s a disaster in those who have inherited the genes. Do food allergies have a parallel history? Does this mean that all these people (and millions more peanut-allergic patients) are somehow descended from some group that needed defenses against particular parasites, and that they are just waiting for a fight? Can we also infer that if you studied, say, milk allergies you would find a comparable set of convergent gene sequences? Derek: We did find one instance of convergent evolution where two unrelated individuals produced antibodies derived from identical gene rearrangements, but unfortunately we cannot say more on the general importance of specific immunoglobulin genes in allergies because of the limited number of individuals in our study. Broader claims about genetics, inheritance, and the importance of specific genes will require further studies with more individuals and more allergen-specific antibodies. AAC: You state that the different allergenic peanut proteins most associated with anaphylaxis—Ara h 1, 2, and 3—are very different from one another. Why do these generate a stronger immune response than other peanut proteins and how do they relate to the IgE antibodies you found? Derek: How the immune system decides which proteins in foods are “harmful” is still poorly understood, but some proteins, such as Ara h 2, are clearly more allergenic than others. One surprising result of our work was that some IgE antibodies we found bind strongly to two distinct allergens- Ara h 2 and Ara h 3. When we dissected the features of these antibodies that gave them this ability to “cross-react,” we found that it was a result of affinity maturation, a process during which mutations to the antibody sequence give antibodies the ability to bind more strongly to a target. We think this molecular approach will prove useful going forward when studying other allergies, such as tree nut allergies, where individuals can be allergic to some tree nuts but not others. AAC: This question of a particular food allergy being descended from an ancient defense mechanism does beg the question why don’t all people with that gene sequence become food allergic? Many more millions of people who have these sequences don’t present as allergic, so far at least. Here I’m going to draw on your co-author Dr. Kari Nadeau and her work on epigenetics—namely the science of how genes are expressed—which can be influenced by many environmental and societal factors. Could you tell us some of the latest thinking about the food allergy epidemic from the epigenetic standpoint? Is it just a matter of time and generations before more trends in diet, pollution, and behavior uncover the food allergies in us all? 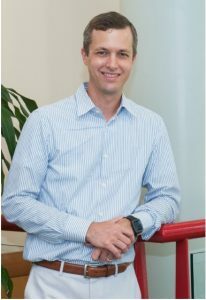 Derek: Food allergies are increasing in prevalence at a rate that cannot be purely explained by genetics, and indeed, Dr. Kari Nadeau here at Stanford and others around the world are finding that the types and timing of environmental exposures play a key role in determining if and when allergies develop. While some trends are certainly worrying, I would say that there are numerous recent advances that are encouraging. For example, it appears that early childhood exposure to food allergens can be protective. Going forward I think this will be a major focus of clinicians as they seek to develop interventions to reduce the incidence all types of allergic disease. AAC: Finally, let’s talk about hope for the future. IgG4 is a class of antibody that greatly increases in individuals undergoing immunotherapy and is believed to act as a “shield” to prevent the immune system from reacting to an allergen. In one individual, you found a B cell producing a peanut-specific IgG4 antibody and a separate B cell producing a peanut-specific IgE antibody. Could you, for example, “selectively breed” cells to produce more IgG4 rather than IgE or administer peanut-specific IgG4 to accelerate immunotherapy? And if I’m way off base, could you please explain why? What should we be thinking about? Derek: I first want to be fully transparent and say that our study was focused on our basic understanding of allergies and a potential therapeutic is still far in the distance. That being said, IgG4 is an exciting future direction for the exact reasons you mentioned. For our work in particular, a potential therapeutic could be based on re-engineering our antibodies to retain their ability to bind peanut allergens, but modify them such that they belonged to the IgG4 antibody class. If these were then reintroduced into someone and that person accidentally consumed an allergen, these antibodies would ideally bind the peanut allergens and prevent the immune system from reacting to them. AAC: Thanks for your time and your provocative research. Derek: It was a pleasure, thank you. 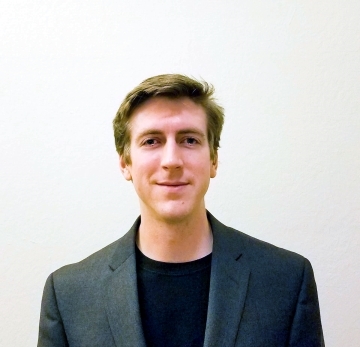 Derek Croote is pursuing a Ph.D. in Bioengineering in the laboratory of Professor Stephen Quake at Stanford University. Broadly, his research interests include allergy, B cells, antibodies, genomics, and bioinformatics. His most recent research focuses on a fundamental understanding of the human immune system for translational applications in allergic disease. He is excited by today’s unprecedented capacity for generating biological data and can be followed on Twitter: @DerekCroote. 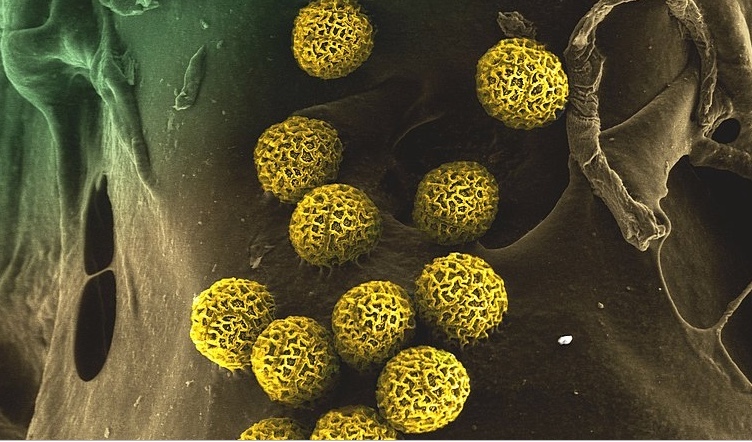 AAC: The theme editorial by you and Rob Aalberse, PhD is very evocatively titled: Clinical Allergy at the Interface of Sticky Dust Particles and Crystal Clear Proteins. Could you explain the significance of this title? Also could you describe what you mean about extracts being the basic reagents of both diagnosis and treatment? And could you briefly explain how the current extracts are used by clinicians? Brian: The title of this theme issue editorial was a play on the fact that we are at a point in allergy where the past may be meeting the future whether we like it or not. It alludes to the fact that most allergens float in the air stuck on small particles of dust mite allow the allergen such as dog or cat dander or dust mites to get into the nose, eyes and lungs of people with allergies and asthma. These allergens as you mention are currently collected, stored and used for two main purposes: diagnosis–skin testing and blood allergy testing– as well as therapy in the form of allergy shots and sublingual immunotherapy. When it comes to diagnosis the allergens are sold in vials and we use them during skin prick testing to try and find the cause of allergy symptoms. Because many of these allergens are found all over the world, some such as cat, dust mites, northern grasses and ragweed are “standardized.” That is, they contain consistent amounts of allergens. This is because they have been widely studied. However, many allergens such as oak tree pollen, are regionally specific and are not standardized. They are used in specific regions where those plants live. Because of this we have greater diagnostic accuracy that can be tailored by allergists to the plants in their region. These lesser allergens are not as widely studied. Naturally occurring allergens are not uniform when used as diagnostic and therapeutic tools and come with the potential for containing contaminants, which makes them imperfect for their current use. The future may hold a time where we can artificially produce specific proteins that represent the major allergens found in those dust particles. They would be crystal clear, unlike what we are now using for our diagnosis and treatment. The future, however, does not reflect our current reality. We do not have many of these artificially made proteins available and even if they become available, a lot of work needs to be done and money spent before they are known to be as useful as our current allergen products. And, because many of these allergens are not common, companies are not going to spend money to produce artificial forms of them. Until these new forms of allergens are available for diagnosis and treatment we are suggesting that allergists and our patients need to be able to continue to use the currently available allergens. AAC: Ever since we’ve followed the subject (click here and here) of changing the way extracts are prepared and administered, I’ve been curious to ask, why now? What is the urgency of the United States Pharmacopeial Convention to replace the way extracts are formulated and utilized? It seems highly premature, and expensive. Brian: It is expensive. And it will be premature. The situation though is standardization is the goal of regulatory agencies. These allergens for testing and therapy are “medical products” and therefore both US and European regulators have high standards for clinical. These allergens have been around for many, many years. When they were first available, they did not have to undergo the specific testing for efficacy and purity that many newer medical products are subject to. This is the threat to the current allergens. If the regulatory agencies require these allergens to go through this evaluation process and at the same time their use is restricted, then we will have fewer tools for diagnosis and treatment than we currently have. AAC: What will the end game look like? How many allergens and in what pharmaceutically pure state? Will they be packaged in per-use doses? I know that occasionally the dilutions are computed wrongly before allergy shots, resulting in adverse reactions. Will these mistakes go away? Passiflora pollen: will it qualify for its own extract? Hundreds of species on 6 continents. 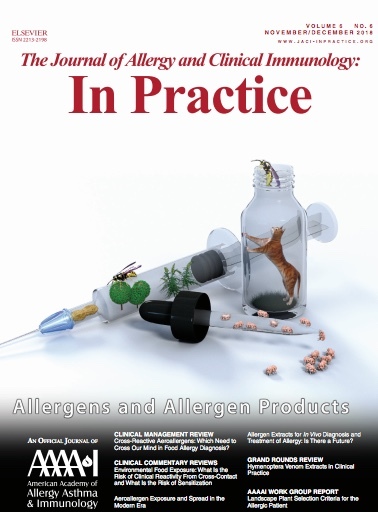 Brian: The goal of the editorial we wrote was to argue for what should be done: allow continued use of older allergens, while the work is being performed to identify which pure proteins or mixtures of pure proteins will be equally efficacious than the current options or even more so. Honestly, no one knows what will happen. We do know that restricting the availability of these allergen extracts will limit our diagnostic and therapeutic options now and for years. AAC: Now for some process questions. First I’d like to know how this issue came about. Were you and your co-editor, Dr. Aalberse. approached with this theme, or did you go to the editors of In Practice with the theme in mind? Brian: The editorial board of JACI In Practice meets once per year at the AAAAI annual meeting and votes on the various themes we want to cover in the year ahead. Some themes such as food allergy are done every year because there is so much new information all the time. Allergens and allergen products had not been done since the journal was first published. When we vote on the themes we are permitted to put our names in as potential theme coordinators. I was fortunate enough to be chosen for this theme issue with Dr. Aalberse. AAC: How did you choose the very intriguing format of asking and answering both patient and clinician questions, some of which are more or less different versions of the same thing, sort of like the four questions on Passover? Do you think doctors need to hear about how the other side thinks? Brian: I chose this format to help frame the types of questions I wanted to answer when it came to writing the outlines of the different papers for the theme issue. I wanted these papers to answer two types of questions. One is, “What do clinicians need to know about these allergens and extracts to help them be the best physicians they can be?” And two is, “What questions do the patients have so we can give them answers?” This type of thinking may come from my own relationship-centered style. Taking care of patients requires a relationship between the physician and the patient. It should not be doctor centered or exclusively patient centered. In order for the relationship to work well, both need to respect the wealth of experience the other brings to the relationship. The doctor has knowledge and the ability to explain symptoms or reassure. The patient has expert knowledge of what symptoms have been occurring, what they think is going on, and what they think may be helpful or not work to make them feel better. I wanted the theme issue and the editorial to reflect that way of thinking. AAC: Once you arrived at your theme, how did you go about acquiring pertinent articles? Did you read lots of stuff or did you solicit particular authors? Were they friends, or people whose reputations you knew? Brian: The individual articles solicited were ideas that both Rob Aalberse and I wanted to cover. That included writing a specific outline of questions for each review article. Once we had these ideas written down, I looked at who has published on these issues before and created a list of possible authors. Some of these authors were experts whom we had previous relationships with, and some I just searched the literature and found the best authors for the job. AAC: Several articles have CME (continuing medical education) exams attached to them. Why were some of the articles considered CME material and not others? And what is the process of creating this component? Who writes the exams, how are they graded, and how is credit granted? Brian: The CME articles are usually picked by the head editors from the journal, though we were able to make suggestions. CME credit really could have been given with any of the articles. The CME process is long and bureaucratic. It requires that the learner reading the article answer questions about the article to ensure they took away knowledge, attitudes or ideas about skills to help make their practice better. The exams for JACI In Practice and JACI are often written by allergy fellows. I did that a few times when I was a fellow 8 years ago. The credit is awarded through the CME committee on the AAAAI. It is part self-regulated and part paperwork to ensure the CME process is followed. AAC: Thanks for your time. Brian: You are welcome. Thank you for taking interest in the nuts and bolts of coordinating these theme editorials. Brian Schroer, MD is a staff physician at Cleveland Clinic Children’s Hospital. He sees both kids and adults in clinical practice. He trained in allergy at Cleveland Clinic and internal medicine and pediatrics training at The Ohio State University and Nationwide Children’s hospital. He attended medical school at the University of South Florida College of Medicine and did his undergraduate studies at Duke University. His clinical focus is on children and adults with food allergies as well as other general allergic conditions. He teaches medicine to allergy fellows, pediatrics residents and medical students in the allergy clinic. Outside of clinic he teaches communication skills to medical students during their first and second years and to staff at all levels of experience. Finally, he is a member of the Editorial Board for JACI In Practice and reviews articles for that journal. AAC: Thanks for taking the time for our readers, Kelly. First, how big a problem is this? Kelly: Thank you for reaching out and allowing me an opportunity to share with your readers, Henry! We at ITSAN believe that quite a few people using topical steroids to manage their chronic skin conditions are unknowingly addicted to the medication. In 2017 the National Eczema Association reported that 10.1% of the US population have been diagnosed with eczema, translating to over 31 million Americans. Since we know that the mainstream treatment for eczema (Atopic Dermatitis) is topical steroids (TS), we can assume that most diagnosed individuals have been using topical steroids to manage their condition. TSA/RSS researchers in Japan, Dr. Kenji Sato and Dr. Mototsugu Fukaya, in their publication, “Topical Steroids Addiction in Atopic Dermatitis”, state that they believe the prevalence of TSA is between 7-12% in those who use topical steroids long-term. If we take the rough estimate of 10% of those diagnosed, it’s possible that currently over 3 million people, in the US alone, may be addicted to their medication. That figure is staggering to me. Right now, ITSAN, which has been around for six years, is serving approximately 12,000 worldwide who have become aware of their physiological addiction and are going through the process of Topical Steroid Withdrawal (TSW)/RSS. This is a severe and harrowing condition that can last from months to years before recovery takes place. AAC: How did you get involved? Is it personal? Kelly: Very personal! I started TSW 6½ years ago quite by accident. I was diagnosed with eczema as a child, but it didn’t bother me too much until I reached puberty, which was when I began to use TS. I used this medicine to manage my “mild” eczema for 26 years. Throughout the years, my doctors needed to increase the potency of the medications to control the rashes — which happens to be a tell-tale sign of addiction. It wasn’t until I began to develop a wide array of allergies that I began to suspect my steroid use. After research, I found that steroids do have a correlation with heightened allergic response, so I decided to begin weaning myself off of them and instead of using TS, I began using a better barrier cream on my skin. Only two days after I stopped using my medication completely, the skin on my upper body began to burn terribly and a bone-deep itch ensued. I was up the entire night on the couch, in tremendous pain. I knew the only thing I had done differently was to stop using my medication, so I googled “steroid withdrawal” and up came ITSAN. I read through their resources and description of TSW; every symptom described resonated with what I was going through. At the time I thought I would be able to get through the withdrawal within three months – I was healthy, exercised, did juice fasts–the whole nine yards. Within a week, my face swelled up like a chipmunk and the burning was so bad I couldn’t lift my arms above my head. Three months came and went; at that point I hadn’t even peaked in my withdrawal. I became bedridden for over 1 ½ years, lost most of my hair, and developed a cataract that required a lens implant. I was in so much pain, I had to lay still in bed, not even able to lay on my side. It felt like someone had poured boiling water over me from the top of my head to my feet. The only incentive to move was the deep itch that attacked in cycles all day and night and could last for up to an hour at a time. It really is indescribable. My skin broke into fissures that oozed a foul liquid, and the turn-over in my skin was startling to say the least; it was constantly peeling off of everywhere on my body. The only place I felt relief was in the bath. So I lived between my bed and the bath. Days and nights were the same. I couldn’t get to sleep until about 8 am and when I did sleep it was only for a bit at a time. I literally felt like Job from the bible. My husband, who owns his own business, had to take over all of my responsibilities in the home and with our two boys. When I finally began to heal, and the symptoms weren’t as severe, the grieving set in. I grieved for the time lost with my children in their formative years and for the incredible strain it put on my marriage. I grieved that a medication I was prescribed for an annoying rash nearly cost me my life. And then the questions and anger set in: How could this have happened to me? How could there have been so much oversight in my medical care? Who is responsible for this? Initially in my withdrawal, I just wanted to get through it and on with my life. But after four years of fighting this battle, I knew I had to help change the tide on how these medications are understood and prescribed. I reached out to Joey Van Dyke, the President of ITSAN, to see how I could help and was offered a position on their Volunteer Executive Board. The following year, I came on as Executive Director and then this past April, stepped into the role of President. AAC: Can you explain the basics of topical steroid addiction? What causes it? I am particularly interested in the notion of addiction. I don’t think what I went through ever rose to that level. Kelly: Simply put, TSW/RSS is an iatrogenic condition, i.e. 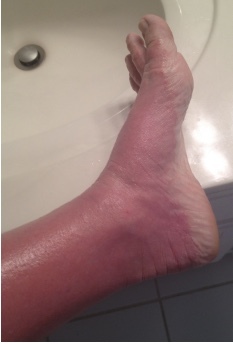 a condition caused by treatment, resulting from the overuse of topical steroids. In chronic diseases, the treated skin becomes dependent on the medication and needs higher potencies to continue to be effective prolonging and worsening the original condition. When medication is stopped, a rebound effect occurs and the skin begins to burn, turn red, and itch tremendously. This usually starts on the site of application, but travels to areas that were never treated with TS. These rashes can ultimately be confined to certain areas or can can go full body. The body cycles through flares of red, burning skin, that eventually sheds off and then the process begins again. Over time, these flares become less intense, fewer and further between, until the skin comes back to its normal state. Because there hasn’t been a lot of research conducted on the mechanisms of TSW, it still is unclear what exactly is going on and why. Most doctors can only provide comfort measures, which is sometimes adequate because in most cases time heals. For those who need to maintain quality of life, there are options of immunosuppressants such as cyclosporine or methotrexate, or the new biologic, Dupixent. There are working theories around mast cell involvement, altered immune and endocrine systems, and a genetic mutation, which makes it difficult to metabolize steroids leading to toxicity and these adverse effects. I want to mention that the drug label inserts for topical steroids state that they should not be used from more than 2-4 weeks at a time, unless otherwise prescribed by your doctor. It is widely known, that continual use of steroids, even topical, can cause problems to the HPA axis (basically taking over the job of the adrenals), growth retardation in children, osteonecrosis, and diabetes. The problem lies in the fact that eczema is chronic and western medicine believes it is incurable. That said, topical steroids are the go-to for managing annoying symptoms and getting flares under control so that they don’t escalate into infections or an out of control immune response. Since many doctors don’t believe that TS can become systemic, they prescribe them for indefinite amounts of time without proper monitoring (taking breaks and checking cortisol levels, and so on). Topical Steroid Addiction is not an addiction like drugs or alcohol where there’s a predictable pathway and most people are conscious that they may be overdoing it. Instead, it happens unknowingly, over time, as a result from using medications prescribed by our doctors to control our disease. It’s too easy for the patient to reach for the steroids whenever there’s a flare. For many, as previously mentioned in my own experience, the skin needs higher potencies throughout time to continue to manage symptoms. When I looked into the potency of the last TS I used, I discovered it was 1,800 times the natural cortisol level in the body. AAC: What is the underlying immune process? Kelly: There really isn’t enough research into TSW to know how just how extensively the immune system has been changed. It is known that steroids cause a rise in IgE levels. When used for a long time, the body becomes more reactive to antigens. Although it isn’t clearly understood why, when people go through Topical Steroid Withdrawal, their IgE levels sky-rocket into the tens of thousands. The skin begins to react to nearly everything in this state. This can take years to come back into normal range. Dr. Xiu-Min Li, from Mount Sinai, has done some research on how steroids cause the Th2 (inflammatory) cells to become dominant over Th1 (inflammation regulators). We’re very hopeful on her discoveries surrounding this and treatment with Chinese herbal medicine. AAC: Is there a typical profile for your members when they arrive at your door? What are some of the complaints? What are some of the histories of their interaction with their doctors? 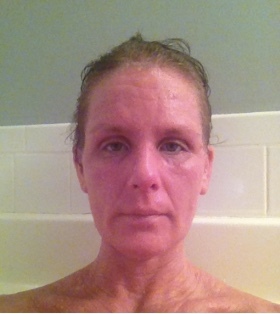 Kelly: There are typically three types; those who are really struggling with worsening (spreading and severity) eczema that doesn’t seem to be helped much by steroids, those who have taken a break from their steroids, which has resulted in typical RSS symptoms, and those who are still using steroids but their skin is no longer responding to treatment and are currently experiencing red, burning skin. Unfortunately, a very large percentage of our members have not been believed or supported by their doctors. Many have been called steroid-phobic or negligent, are scorned and even laughed at when they bring up their concerns about what they believe steroid treatment is doing to their bodies or to their children. This attitude of dismissal from medical professionals has caused many patients to walk away from their practitioners in anger and grief, feeling victimized, alone and afraid. This is a travesty, because these people desperately need to be under medical supervision. They know that they need help, but they don’t know where to turn. Not all doctors respond this way, of course. As time goes on, this condition is becoming more known and recognized. And although, there still are not many treatments available to lessen suffering and the length of the withdrawal, there are several options. At very least, patients should be monitored for infections that can become dangerous. AAC: I was shocked in reading some of the literature you sent me that there’s widespread reluctance to recognize the extent of the problem, including from some marquee-name dermatologists. It seems to me that a membership of 10,000 ought to be evidence that something is going on. Can you summarize the rationale of these doubters? Kelly: A friend of mine, a clinical physician from the Bahamas, gave me some good insight on this. Medicine has always been an evolving science. New discoveries are often rejected and even ridiculed. It takes time and evidence for these ideas to become widely accepted. This has been true from discoveries like antiseptic hand-washing in the mid 19th century, to incubators for neonates, angioplasty, immunotherapy in cancer treatment, the recent findings of brain trauma injuries in sports, and countless others. There’s an uncomfortable parallel with the opioid crisis. I met some students from Yale at the International Investigative Dermatology Conference earlier this year who were researching opioids. They said that in the 80’s and 90’s doctors were sold on the idea that pharmaceutical opioids were not addictive–this based on a single letter in a medical journal. Armed with that assurance, doctors prescribed freely and it took tens of thousands of overdose deaths to alert us to a national emergency. It sounded so much like what we are dealing with now with topical steroids. Most of the physicians I have talked with don’t believe TS are addictive or can cause systemic adverse effects. AAC: Given the kind of skepticism expressed by many doctors about the nature of the problem, your organization must be a breath of fresh air. Is that the case? How do members express their gratitude when they join the fold? Kelly: Finding answers and a supportive group is life-changing! To see and hear the stories of others who have had the courage to walk through the hell of this withdrawal and then come out on the other side, full of life and health, brings tremendous hope. Courage is contagious. Every time I meet someone going through this condition there are always tears. There’s nothing like being in the presence and in the arms of someone who completely understands your suffering and is there to offer encouragement. AAC: I see that Dr. Peter Lio has emerged as a hero to your movement. 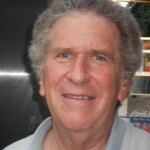 Dr. Lio has been a frequent, generous contribute to our website. He is very open minded about alternatives to standard of care. Can you talk about what he has done to make a difference? Kelly: Yes! Our community is so thankful for the voice and the work of Dr. Lio! I am so grateful to him for remaining open to hear his patients’ concerns and for the research he has conducted to bring more understanding to TSW and more viable treatment methods. As a part of a scientific task force commissioned by the National Eczema Association in 2015, he helped to conduct a review of the literature of TSW. This was a big step in the medical community realizing that this condition truly exists and is not an internet myth. Dr. Lio has also recently published a study of five TSW patients response to Dupilumab, a new biologic for atopic dermatitis. Just a couple of weeks ago he presented at our first ITSAN conference. I can’t tell you how much it means to our members to have someone like Dr. Lio, who is at the top of his field in eczema research and treatment, thoughtfully address US; to validate and support us in our healing. Dr. Xiu-Min Li presented electronically. She has had some inspiring successes with TSW and its precursor moderate-to-severe eczema as well as illuminating the underlying immunology. AAC: Are there any other heroes out there? What are they doing to merit that status? Kelly: There are several doctors around the world who have had the courage to stick their necks out and speak up about topical steroid abuse. One of these is Dr. Koushik Lahiri, in India. He is the VP of the International Society of Dermatology and the National Secretary General of the Indian Association of Dermatologists. Just this past year, after working with colleagues for 14 years to ban over-the-counter TS, the request was finally made by India’s Drug Technical Advisory Board and granted by the Ministry of Health. Dr. Lahiri has told us about the widespread fungal infections Indians are experiencing as a result of using over-the-counter TS for skin lightening and a cocktail of fungicide/antibiotic/steroid mix as a cure-all for any skin ailment. Because the steroids weaken the skin’s natural defense mechanisms, and because of resistance developing to fungicides, formerly simple cases of ringworm are turning into full body fungal infections that are very difficult to treat. 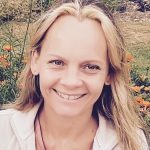 Another hero is Dr. Belinda Sheary, a GP in Australia, whose daughter went through topical steroid withdrawal. In March of this past year, she published a long-term study of 55 patients with TSW. Her work has helped to bring more clinical definition to the condition. Dr’s Kenji Sato and Mototsugu Fukaya in Japan have published a variety of studies on TSA/TSW and have been so helpful in offering their insight and expertise to our organization over the past several years. 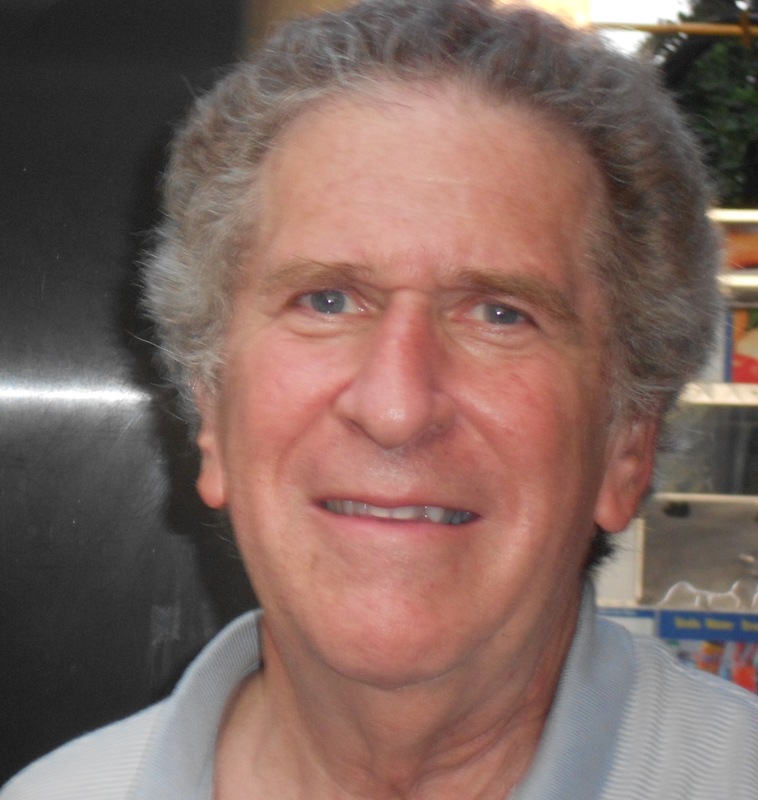 Of course, Dr. Marvin Rapaport, who helped to start ITSAN in 2012 with one of his patients, Kelly Palace, was one of the first voices in the US to speak up about RSS. He has supported many of our members by connecting with their doctors in offering advice and guidance. AAC: Gaining recognition for a “new disease” is never easy and is just a first step. Then you need to gain a constituency in the research community, then compete for funding. Would you like to describe the road forward for you and your members? Kelly: You are so right! We face a lot of challenges, but are determined to do whatever it takes to raise awareness and end the suffering caused by misuse of TS. One of our priorities is to conduct a prevalence study. Because there are ethical issues involved, it would be very difficult to run a study like this just asking people to stop using their medications. My hope is that we will be able to partner with one of the pharmaceutical companies who are developing new biologics for the AD community. If we can document the outcome of the placebo arm of these studies, what happens when these individuals stop using TS, we should be able to discover prevalence. After determining prevalence we would apply for a diagnostic code with the World Health Organization. Another goal is to start a Patient Registry in Redcap that would be available to scientists for future research. We are so excited to begin that process by currently working with a group of dermatologists in Denmark and the University of Copenhagen who are developing a TSW survey for our members that will be inputted into Redcap. As mentioned earlier, we believe that there could be a genetic biomarker that would identify those who are unable to properly metabolize steroids and should pursue different forms of treatment for their chronic skin condition. This is another research objective we are looking into. We have put together over 50 patient stories from around the world in compact form and plan to exhibit at as many medical conferences as we are able to in the coming years to make our presence known. These stories showcase that TSW crosses all lines; that this is happening to individuals of every race, every age, both male and female. It is so important to connect one on one with medical professionals; to tell our stories and let them take a look at the evidence in numbers. Also, pictures speak a thousand words! We have had nearly 400 of our members report an adverse effect to the FDA and have been instructed by them, as a next step, to develop a petition. We are hoping that when this is completed TS will be reviewed and that the FDA will make changes in labeling that would include TSW as an adverse effect and put clear limits on use and monitoring requirements. As far as ongoing support measures for our members is concerned, we want to focus more on education, providing monthly webinars and biannual conferences. We are also in the process of developing a forum on our website that will allow members to access information on topics and questions we all deal with. In Advocacy, ITSAN has recently become a member of DCAN (Derma Care Access Network) working on supporting Step Therapy Amendments for health insurance companies on a federal level. This would help our community access the medication they and their doctor believe is best for them, without having to try and fail medications they have already used (TS!). I have also been working with Step Therapy Amendment Legislation on a state level here in Georgia and we believe this bill will be passed in the 2019 session. We are also working to continue building bridges and partnering with the National Eczema Association, The International Alliance of Dermatology Patient Organizations, and the Coalition of Skin Diseases under the American Academy of Dermatology, in getting the word out about Topical Steroid Withdrawal. Kelly: Thank YOU, Henry, for putting the spotlight on TSW! 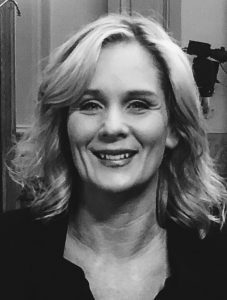 Kelly Barta owns and operates an E-Commerce Event Supply Store in addition to working with ITSAN. 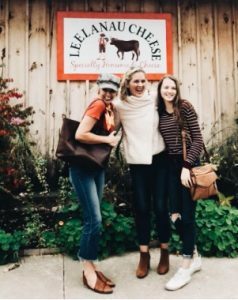 She resides in Atlanta, GA with her husband Jason, and sons Jackson and Haven. AAC: Thank you, Dr. Schroeder, for taking time with our readers. First I’m intrigued by your background in engineering. What made you leave for medicine? Nikhila: Thank you so much for the invitation to talk with you and your readers, Henry! I’m so happy to be here. I have always had a love for math, logic, and problem solving. Paired with my creative side, engineering was a very appealing career choice because it allowed me to use my skills to invent solutions for people. But being a doctor felt even more natural. My mom often shares the memory that when I was a really young girl, anytime someone was sick on our block, I would take them a can of chicken noodle soup from our pantry and keep them company. That’s just who I was and what I wanted to do from a young age onward. So in the end, I decided to go for both engineering and medicine and see what I could do with them together. AAC: Does engineering inform the way you think about your allergy practice and your approach to patients? Nikhila: Absolutely. My time studying engineering really cultivated my critical thinking skills and I apply that to my practice and my care of patients. Nearly every homework assignment or project at MIT was a complex problem that needed to be solved, and memorization or looking something up in our textbooks or on the internet was not going to cut it. Believe me, my friends and I tried. Though sometimes it was overwhelming, I’m so glad I pursued engineering first because it really taught me how to actively think and more importantly, to not be scared of doing so. Problems often have more than one solution, and that is a beautiful and extremely useful concept to remember in health. One solution may be the best overall for one person and a different solution may be best overall for another person with the same underlying issue. Being able to navigate, think, create, and adjust solutions to the individual person can help patients in ways that following a predetermined or standard solution simply can’t, so I’ve kept that idea central to my practice of medicine. Now that my husband and I have opened our own allergy clinic, we have incorporated these philosophies into not only our medical care but also into our overall health care process. Our clinic, Allergenuity Health, is in almost no way standard, and our approaches to everything from the care we provide to our business policies and price transparency are all designed to provide options and solutions to patients. It takes a lot of work, but it is worth it. AAC: When you were doing your allergy training, was there much discussion of OIT and SLIT? What prompted you to pursue SLIT over OIT? Nikhila: OIT and SLIT were essentially theoretical treatment possibilities during my fellowship training. They were an occasional topic of a research presentation or a Journal Club discussion. This makes sense to a large extent, since fellowship programs are designed to train budding allergists in the main diagnosis and treatment methods of the field, not necessarily in highly sub-specialized areas of the field. However, when I saw how much allergy patients and families were suffering and how inadequate the traditional therapies were in so many instances, I was motivated to look for or create something better and to further sub-specialize. I became very interested in immunologic signaling and how we could use that to help people with allergies. As I learned more about various types of immunotherapy, SLIT made a lot of sense to me. It actually made more sense overall than any other form of immunotherapy. It is scientific, uses a natural route of tolerance-training literally handed to us by our bodies, has been proven effective, and is safer than any other form of immunotherapy. Why weren’t we talking more about this? I still don’t know. The safety aspect was the kicker for me that solidified my in-depth pursuit of SLIT. I had listened intently as so many patients and families shared their incredible stories, their worries, and their goals with me over the years. Safety, both in daily life and in treatment options, was overwhelmingly their main goal. What they desired most (other than a complete cure of course) was a treatment option that provided them with a safe way to build allergen protection, reduce chronic symptoms, and minimize the likelihood of anaphylaxis if they accidentally encountered their allergen(s). For example peanut-allergic patients and families made it more than clear that being able to eat peanut butter was not their goal, especially if they had to undergo a risky procedure to get to that point and then sustain a lifelong, daily risk to maintain it. And I completely saw their point. OIT’s risk of anaphylaxis for patients was and is still far too great for most specific patient situations, in my opinion. Some reports suggest that the average risk of anaphylaxis from OIT treatment may even be higher than the average natural risk of anaphylaxis in a food allergic patient. Though epinephrine is a life-saving medicine in anaphylaxis, it is not effective to rescue 100% of individuals from anaphylactic reactions even when used early and appropriately, so I take risk of anaphylaxis from a treatment extremely seriously. Given that SLIT can achieve many very useful and potentially life-saving results in a very safe way, without this substantial risk of anaphylaxis from the treatment itself, I knew that I personally would not be satisfied without seeing first-hand what SLIT could offer all of these patients looking for such an option. AAC: So what did you find that Sublingual Immunotherapy (SLIT) could offer patients? Nikhila: Essentially everything patients desire. SLIT checks off nearly all the boxes of an ideal allergen immunotherapy treatment. It is non-invasive. No shots, no pain. It can be used to treat environmental allergens and food allergens, and more than one allergen at once if needed. It can be used even in severely allergic patients. It is easy for patients and families to do. It is high reward for low risk, helping patients build substantial levels of protection without a significant risk of anaphylaxis from the treatment method itself. Its most common side effect is a temporarily itchy mouth. It can be done at any age, including as early as infancy. Depending on the method of SLIT, it does not require any significant exercise limitations, rest periods, or lifestyle restrictions. And missing an occasional dose when “life happens”, even during the buildup phase has no detrimental effects on the overall level of protection you have developed. It is non-intrusive. There is no need to find ways to get your child to eat something they may not like the taste of or that is anxiety-provoking. It saves families a lot of time and money in the long run – much less ER and other doctors’ visits, less testing, less medications. It can be done with infrequent appointments – nowhere near weekly or monthly like other forms of immunotherapy. It can dramatically improve a patient’s (and their family’s) quality of life with significant symptom relief and substantial allergen protection over time. Some patients can come off the treatment and have sustained results for some time. For those who have better relief and protection on the treatment than off or for whom it may be too risky to gamble with discontinuing, it is extremely easy to continue long-term. It is easy to travel with when needed, and treatment can be done and maintained long-distance if you’re on a trip, away at college, or move to a different state during the course of your treatment. It involves forming a simple habit just like brushing your teeth, but even easier. Liquid antigen SLIT treatment is done by literally just holding a sweet-tasting liquid droplet – a very specially formulated one – in your mouth a few times each day. Like any form of allergen immunotherapy, achieving substantial, true immunologic change does take time and a commitment. But I have not currently come across anything better than SLIT to help most patients and families safely build towards their goals and improve their quality of life. AAC: Is there anything that SLIT doesn’t offer patients that OIT does? Nikhila: Yes, there is one main limitation of food SLIT compared to OIT. SLIT will not be able to give a patient or family real-time information on their exact level of developed tolerance or desensitization. For patients on food SLIT, the allergen amount a patient can tolerate if ingested is typically much higher than the SLIT dose being administered, but we don’t have an easy way to know exactly what that amount is at any given timepoint in the process (without doing an oral challenge) since the treatment does not involve someone actually ingesting the food like OIT does. With OIT, since you are ingesting a particular dose of an allergen each day, you know that if the next day you were accidentally to ingest up to that same amount of the allergen before you took your daily dose, you would probably be ok (unless you were exercising, hot, stressed, or ill at the time, so it is still not a guarantee). Though I wish this limitation didn’t exist, SLIT is not alone in this. It’s similar to allergy shots in which we cannot answer this question in real-time either. However, in the case of allergy shots and environmental SLIT, patients are naturally and repeatedly exposed to many of their environmental allergens, so they physically see their results at those times since those are essentially allergen challenges. With food SLIT, since you’re also avoiding the food at the time (at least initially), we can’t really use that method either unless you have an accidental exposure. Studies that have challenged patients after even short SLIT courses have demonstrated substantial protection, with improvements in tolerance from their pre-treatment level of over 100-fold. The longer the time on SLIT treatment, the further this increases. Anecdotal experience with accidental exposures repeatedly shows significant protection gained already within the first year and even more in the subsequent years, and we get more than enough evidence of the power of SLIT to protect against allergen exposures from what we see with environmental allergy symptom relief to frequent natural allergen challenges. There are clues of the protective immunologic changes that we can see in test results as well (though we have a long way to go as a field in terms of getting access to much needed better tests in this area). AAC: SLIT and OIT are often compared as if they approach “desensitization” via the same mechanisms. Is that true? Nikhila: SLIT and OIT can be used similarly or very differently. That’s where a lot of confusion comes from, even by physicians. Not all procedures offered under the same name do the same thing. And one version of SLIT is certainly not the same as another version of SLIT, so it is important that patients research and interview providing physicians. The underlying knowledge of immunologic mechanisms, immunotherapy design skill, type of protocol, and experience of the providing physician can make a huge difference. This is probably similar with OIT, since both SLIT and OIT are sub-specialized treatments. I’d be happy to help explain the basics of these comparisons here. AAC: So how can SLIT and OIT be used similarly to achieve desensitization? Nikhila: Classic desensitization by OIT or SLIT is similar to what we offer in the hospital to desensitize penicillin-allergic patients if they really need penicillin treatment for a particular infection. The process involves introducing a particular allergen into the body in a fairly quick, increasing, step-wise manner. This essentially plays a trick on the immune system, which is why results are so quick and can be so high. But along with this type of result comes significant risk. There are two main parts to how this type of desensitization trick is achieved, which would take quite a bit of time to explain fully. But the basics of it are, one of the things that introducing allergen in small, increasing, repetitive ways can do is use up the system’s allergic mediators bit by bit by activating allergy cells in chunks until all the mediators have been released. This is of course not without risk of the patient developing some type of symptom along the way, and symptoms do commonly occur in classic desensitization procedures as allergy cells are activated. The hope is to stay under the threshold of anaphylaxis, but that unfortunately is not always the case because there is no way to know what that threshold is. The other thing that increasing, repetitive introduction of allergen can do is slowly flood the system with so much allergen that it gets a chance to bind in many more places than usual, including plugging up both binding sites on IgE antibodies, effectively blocking IgE antibodies from cross-linking with each other which is a main signal needed for activating allergy cells. So, both of these types of actions can occur as a person gets desensitized, rendering their allergy mediators either all used up or their IgE antibodies all blocked up, or striking some sort of balance in between. Regardless of exactly what occurs, once the short-term desensitization trick is achieved, the immune system is in a balanced state of “temporary tolerance” in which it still very much wants to react when it sees that allergen – it does not think the allergen is any less harmful than it did before – but it is just much more difficult for it to be able to do so. In order to keep the body in this type of desensitized state, a persistent and high amount of that allergen needs to remain in the system, at least for quite a long time if not indefinitely. It has been well-proven that in the short term, if the high allergen load is stopped, the patient’s immune system has a very good chance to replenish its allergic mediators to substantial amounts, and all the allergen plugging up the IgE antibodies gets a chance to be released such that these IgE antibodies can cross-link again. And when those things happen, allergic reactions to allergen exposures can again occur. For patients receiving drug desensitization to penicillin in the hospital, once the procedure is stopped, we make it a point to emphasize to them that they are still very allergic to penicillin and they should not take it again on their own for anything else even though they just took it for treatment at high doses. Classic desensitization is an incredibly cool trick, but it is kind of like cheating on a test. The immune system appears to know how to handle an allergen, but in the short run it didn’t actually learn much about how to properly handle that allergen, and that can come back to haunt it. That’s not to say this type of desensitization is not without its uses, or that there aren’t potentially additional beneficial long-term effects if desensitization is carefully maintained (but our understanding of this is in its infancy since we do not maintain drug desensitization long term). What is very important is to understand this type of desensitization for what it is – a quick, high-dose, temporary fix that comes with risk, is high maintenance, and can fairly easily come undone. Since the main component of this desensitization is merely being able to get an allergen into the system repeatedly and at higher and higher doses, either OIT or SLIT can be used effectively for this purpose. OIT can more easily reach higher doses because you are using the actual food so you can consume as high of a dose as a person needs to institute this trick, but that comes with the disadvantages for some people in terms of not liking the taste of the food, as well as the risks of allergen ingestion and entrapment in the stomach. If a reaction begins after an OIT dose, it is not easy to remove the allergen from the body and minimize the reaction. 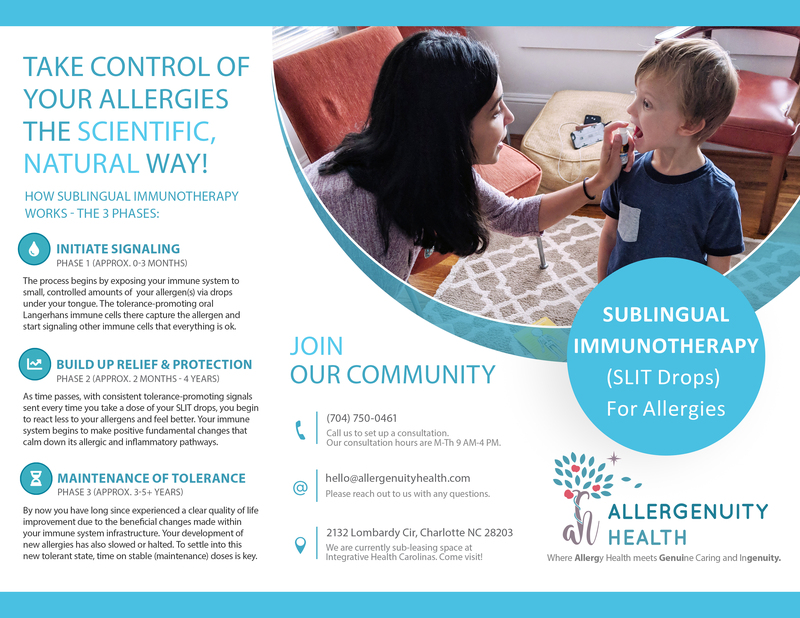 SLIT can also reach substantially high doses because you need much less allergen (1000 times less or possibly even less) presented via the sublingual route to achieve similar results to the gastic route, but there are some limits to how much allergen can be physically held in the sublingual space as well as the expense of FDA-regulated, purified liquid antigens. However, if a reaction begins to occur with a SLIT dose, the antigen can be spit out and the mouth can be rinsed out to try to disrupt any further allergen capture, so risks and reactions can be better managed. The take-away here is that substantial desensitization of this type can and has been achieved with both SLIT and OIT methods. OIT can reach higher doses (if needed) more easily, but the safety with the SLIT route is overall better and the taste factor is a non-issue with SLIT since the allergen is in a purified liquid form. AAC: And how can SLIT be used differently than OIT and other forms of immunotherapy? 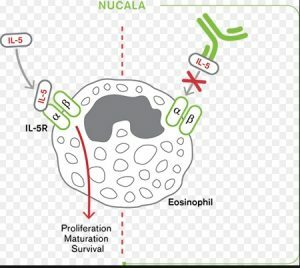 Nikhila: This is the crux of why I personally find SLIT to be superior as an overall immunotherapy option and as the best place for most patients to at least start if not also finish. 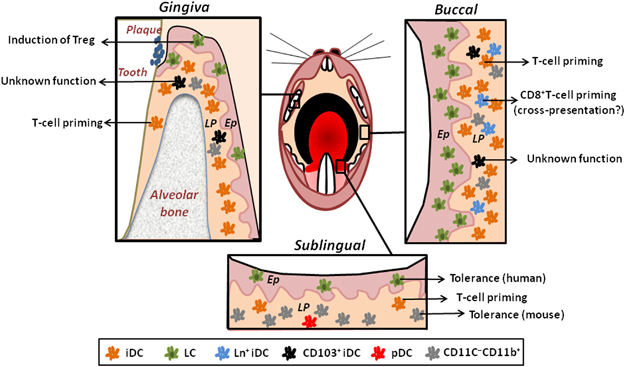 Sublingual Immunotherapy (SLIT) has the unique ability of exposing the immune system to its allergens via special highly tolerogenic (tolerance-promoting) immune messenger cells found only in the mouth. These cells are called oral Langerhans cells, and they are very efficient at capturing substances present in the mouth and then sending calming signals to the rest of the immune system via specific tolerance-promoting natural chemicals (cytokines such as IL-10 and TGF-b) and important T and B cell influences. In fact, this appears to be a main part of their job – to help the immune system learn to tolerate the exposures seen regularly and non-threateningly in the mouth. This has been supported in basic science studies, but it makes common sense too. Our vital substances all come through the mouth – water, food, air – and we need to overall be able to tolerate them in order to survive. These cells help teach the rest of our immune system what to tolerate. We can use them to help teach our immune system that “allergens” are harmless too. 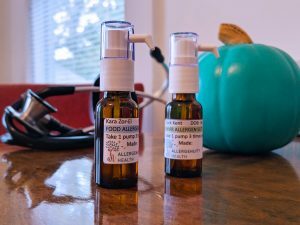 Though the sublingual route can be used to attempt to achieve the classic type of desensitization I described before, it can also be used in a different way to try to retrain the immune system to think properly about allergens. This form of SLIT often includes many of a person’s allergens (not just one) and uses a lower and slower approach to allergen introduction. By purposefully giving low doses of allergen, especially at first, the allergen is mostly picked up by the special tolerogenic messenger cells I mentioned before (oral Langerhans cells), engaging those tolerance promoting mediators. Very little of the allergen in the treatment reaches the mast cells (allergy cells) in the mouth or elsewhere in the body, so very few allergic mediators are released and therefore symptoms are minimal and risk of anaphylaxis is essentially only theoretical when SLIT is done this way. (For example, I have not seen anything close to anaphylaxis from the SLIT treatment I have done in over 1000 patients now.) This type of SLIT method allows a skilled allergist to very safely direct the immunologic signals being generated in favor of tolerance-promotion rather than allergic pathway activation, thereby retraining the system towards realizing that all of these substances it thinks are dangerous allergens are truly harmless at baseline, and that activating allergy pathways is not a productive response. It is akin to giving the immune system a tutor to help it understand a concept that it had gotten confused about before. In the short term, fostering these calming signals can reduce inflammation and decrease the reactive cytokines released via allergic pathways. This lessens both symptoms of chronic allergic disease and a person’s immediate reactivity to their allergens. In the long-term, creating a persistent environment of these calming signals causes many favorable effects: a shift in the entire immune system away from desiring to produce IgE and towards producing other antibodies, downregulation of IgE receptors so any IgE produced becomes less able to cause detrimental actions anyway, and a change in the overall composition of immune cells away from those involved in creating and perpetuating allergic pathways and towards those found in tolerant, non-allergic individuals. I have seen such good things come from this type of SLIT approach without significant inconvenience to families or safety risk to patients. And that makes this type of SLIT treatment extremely valuable and unique compared to all other forms of immunotherapy. AAC: SLIT has been criticized for a lower reported efficacy than OIT. Can you help our readers navigate this comparison? Nikhila: Of course. The efficacy comparison has been so oversimplified so frequently that it has led to a lot of perpetuated misinformation and confusion. But this is understandable because these topics are so complex that quick summaries by default miss and skew crucial points. I won’t even be able to get into the half of it here either without going on for hours, so I’m happy to talk more about it with anyone interested. The main thing it is really important for patients and families to know is that both OIT and SLIT are effective options to choose from. Risks of reaction to exposures generally improve by substantial levels with either method. 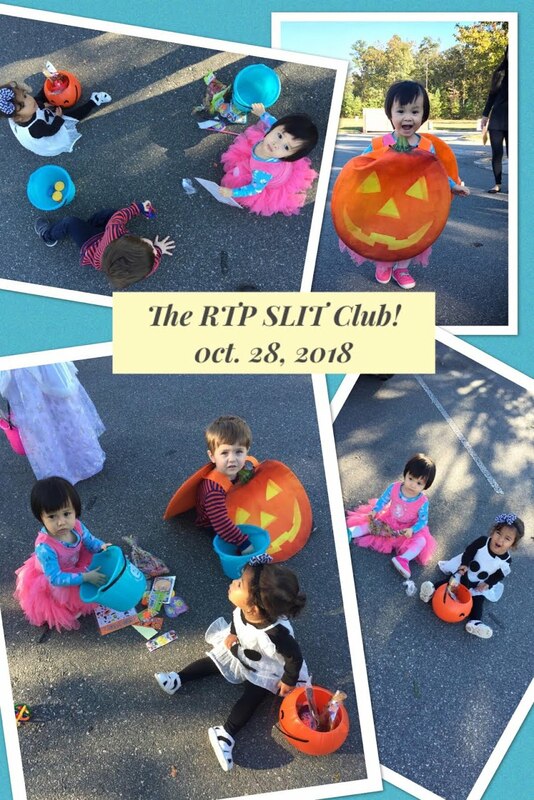 SLIT does not only max out at “bite-proof” for everyone, and this has been clearly proven in peanut SLIT studies with many participants being able to eat anywhere from 1-20 peanuts after a relatively short SLIT course. It has also been shown in a milk SLIT study with participants being able to tolerate 1/8th-1 full cup of milk. And I have seen a wide range of incredible results in private practice as well to further confirm the potential with SLIT. Think about it – to be able to safely improve a peanut-allergic patient’s tolerance to even just 1 peanut, let alone potentially much more. That is what the vast majority of patients in the real-world want, so why isn’t SLIT being promoted more as an available, sub-specialized option? It doesn’t make much sense that it is not, except that the definition of efficacy has unfortunately strayed from what many patients truly desire to what type of high-dose result can be academically achieved. The commonly used marker of “efficacy” in discussion is “high-dose tolerance as quickly as possible.” If that is the entire definition of efficacy, with no regard to safety or other factors, then a classic desensitization procedure via either OIT or SLIT would be the best route, with an advantage to OIT since the dose can easily be increased however high is needed to achieve the desired result for an individual. However, if we take into account what is desired by a particular family in their real-life in terms of what level of protection is effective for them – balanced with other factors like the risks of achieving that protection in a certain time-frame and the required maintenance to keep it up indefinitely – then “efficacy” takes on a whole different definition. Most patients are not looking to be able to fully eat a previously anaphylactic food. Many don’t even like the taste. They just want to be able to live their life as “normally” as possible with as much protection from accidental exposures, as minimal interference in their life, and as low of a safety risk from the treatment itself as possible. For these people, SLIT is the most effective option. And even for those who do want to be able to eat full servings of a previously anaphylactic food someday, SLIT may get them there, so it still is a great option to consider starting with given its other several benefits. If needed, OIT can be done afterwards with a more safe and smooth course thanks to the beneficial foundation laid by the initial SLIT course. So it’s also important to not think these treatments are mutually exclusive – the solution for a particular individual may involve both. In the end, overall efficacy of all of these treatments actually comes down to a family’s personal factors, and the simple, isolated comparison of “tolerated dose in a short time-frame” can really mislead a family trying to understand all of their options. AAC: Who manufactures your drops at your clinic Allergenuity Health? Can they be combined to reduce the daily dosing burden or is each allergen treated separately? If so how many allergies can you treat simultaneously? Nikhila: We formulate our own SLIT drops at Allergenuity Health, based off of my formulas and my direct, personalized management of the SLIT procedure course all along the way. We use FDA regulated antigens that come from the 3 major world-wide antigen companies who collect the allergen material and purify it into a liquid suspension. I absolutely treat multiple allergens at one time if possible for a patient, which greatly reduces patient burden and time to protection as well as has many other synergistic health benefits. We keep environmental and food allergens separate for logistic reasons, and in our typical dosage range I can fit up to 20 allergens in each bottle. That allows me to treat up to 20 environmental allergens and 20 food allergens with my most common method, and I have found that for most patients that is more than enough. Additional allergens or more concentrated high doses can be made available if needed, as I am always open to optimizing the treatment structure to each patient, so we get creative if need be to make a plan best suited to each patient. AAC: Do you have any exclusion criteria for new patients such as uncontrolled asthma, EoE, or a history of frequent severe reactions? Nikhila: This is a great question and the answer is – no! In fact, one of the wonderful features of the kind of SLIT I do is that I can actually use it to help all of these patients who are so often excluded from immunomodulatory treatments for safety reasons (which I’ve always found ironic since these are the patients who could benefit from immunotherapy the most). I use additional precautions in these patients to make sure that we really ease into allergen introduction to their body, but the beauty of this treatment method is that tolerance-generating mediators are released by the immune cells we are engaging with allergen, not allergic mediators. So, the allergen we’re introducing via the sublingual route is not significantly activating their allergic disease, but rather helping healing mediators be released. It’s pretty incredible that allergen particles can be both the problem and the solution, depending on the signal they send. But it makes sense because “allergens” are truly harmless themselves. SLIT has finally given me a fantastic and safe way to truly help all patients from mild to severe allergic disease so that no one is left out without an immunomodulatory option. AAC: A few years ago we published an article about a Netherlands study that showed patient compliance with SLIT, which is better established in Europe than it is here, was lower than allergy shots. Last week I saw a presentation by a major figure in the field who showed similar data. She said the most important figure in getting good compliance is the doctor’s secretary who can call to remind patients. What is your experience with patient compliance? Also, she said that she doesn’t insist on SLIT patients carrying epinephrine. Where do you stand on that? Nikhila: My experience with patient compliance with SLIT in private practice has been very good. I think that is because we make it a point to make sure that SLIT treatment is a good overall fit for the family before we start, and we make time up front to answer a family’s questions so that they understand how, when, and most importantly why they should properly take their doses. Additionally, we discuss what is and is not feasible for a family, and I take those factors as well as their medical situation into account as I formulate a personalized plan for them. As we go along, I tweak the plan as needed so that we can keep any symptoms from the allergen exposure in the treatment as minimal as possible. When the treatment is easy, families understand what they need to do and why, and the dosing doesn’t cause too many adverse effects, compliance is generally good. Families do have to take some responsibility for dosing properly on their own since the treatment is largely home-based unlike allergy shots, but most families we work with are motivated and we do our part as well to best set them up for success without too much inconvenience or stress. We certainly don’t have a secretary that calls and reminds patients to take their doses, and thankfully we have not found that to be needed at all. From what I have come across, compliance is lower when high doses are jumped into early on which leads to adverse effects and when proper education has not been allowed to take place. This often happens when treatments become standardized and patients are pushed through quickly. Thankfully, I have left that part of our health care system and am able to approach SLIT treatment in a completely different way for my patients. My policy on epinephrine for SLIT patients is different for each patient. In an ideal world, I think every person, known to be allergic or not, should have epinephrine rescue readily accessible. Anyone can have a surprise allergic reaction at any time, not just those who have had one before. So I am always happy to prescribe it. For SLIT patients, for those who have epinephrine auto-injectors prescribed for their allergic conditions, I recommend that they bring them to their up-dose appointments. (They should anyway, because they should have them with them all the time.) However, for those on SLIT with no history or testing suggestive of severe allergic reaction risk, we discuss risks and the need for epinephrine and weigh all the factors. I will happily prescribe it, but that is not always what works best for a patient. It is my job to educate them and help them make the best decision for them. Carrying epinephrine in its current form certainly affects many aspects of a person’s lifestyle and routine, and it can be very expensive. So prescribing it just for it to sit in a drawer or never be picked up is also not useful if the patient’s risk for anaphylaxis is extremely low and they are not concerned. Since the method of SLIT that I do is overall so safe and nothing close to anaphylaxis from proper dosing has ever been an issue, I agree that from what I’ve seen, mandatory epinephrine carrying for certain types of SLIT treatment does not appear to be warranted and it should be discussed on a case by case basis. AAC: Your website is quite detailed and clearly tilted in the interests of patients, including the creation of community. How did you arrive at this approach? Nikhila: It’s just what we want to do. My husband and I see community and building strong relationships as the foundation of all good things in life, and we have both always been very service and community oriented. None of us do better alone than we do together with great and supportive people at our sides, and everyone’s health benefits from “TLC”. We were so tired of the often cold, competitive, and lonely nature of the standard, insurance-managed health care system in this country, both from the patient and physician perspectives. So when we decided to open our own clinic, we made sure to structure it based on our own values. Our patients become like family to us. We know our patients’ names, and their parents’ names if they are a child. We know about their favorite animal or toy if they’re a child or their hobby if they’re an adult. We give our young patients “superhero support” and “bottle buddies” to let them know that they are strong themselves but they are also not alone. We connect them to one another, and we have plans to do specific types of Allergenuity Health community events as we continue to grow. Knowing you are a part of a caring community can sometimes make all the difference, and we want our patients to never feel alone because once they’ve joined us, they never are. AAC: Do you have any thoughts for your fellow allergists who are on the fence about offering new therapies or are firmly opposed? 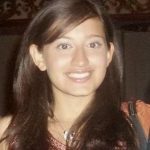 Nikhila: My personal approach has always been simple – to make sure to keep an open mind about new or additional treatment possibilities that appear to make some scientific and common sense, and that has served me very well with my patients. But it has also not been easy to do so in this insurance-driven healthcare culture that so strongly restricts all of us to mass standardization and protocolization of healthcare and away from critical thinking, innovation, and personalization of care. So I completely understand why not all of my colleagues may embrace the same approach that I have. I guess I would encourage my colleagues to try hard to keep an open mind about reasonable therapies even if they are not interested in or willing to offer them, and to not dismiss a therapy or procedure based on summarized data without first trying to gain a better understanding of it. Though there are as many if not more terrible, unfounded therapies being pushed out there as there are great, underutilized therapies, if one or more of our allergist colleagues really stands behind a treatment, I would hope it would at least beg the question from fellow colleagues of “I wonder why?” and a subsequent “Let me reach out to my colleague and find out more.” The more we are open to listening to and learning from one another about things we have not thought deeply about or experienced ourselves, the better we can learn from our collective experiences and come together to help allergy patients. We don’t need to all offer the same highly specialized treatments, and in fact that would probably not be feasible because there are reasons that these treatments are highly specialized. But if we learn which of our colleagues is skilled at which treatment, and if we make an effort to understand what each treatment can offer patients, we can guide our patients to the best options for them whether or not we offer them, and that is what we are all here to do as the experts in our field. AAC: Do you have final any thoughts for patients pondering their treatment options? 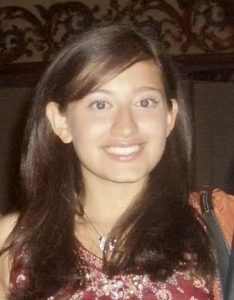 Nikhila: Choosing a treatment option is a very personal decision and there is no right or wrong. No single type of treatment is going to be the right choice for everyone, and thankfully there are several effective options available for patients and families to choose from (though some may require travel, as we have only been open a couple months and are honored to already be working with patients from 11 different states). SLIT offers significant benefits to the majority of allergic patients in a safe, easy, and convenient way, which is why I have chosen to specialize in comprehensive SLIT treatments and help make them more available to patients. But I also completely respect all the other treatments available and discuss them with patients regularly, including the option of avoidance, as each option has specific merits that may be a better fit for certain families. If you are concerned about a treatment’s risk of anaphylaxis, SLIT would be the better route for you. If your primary priority is being able to eat an allergenic food in large amounts as quickly as possible, OIT would be the better route for you. If you don’t like shots, SLIT would be the better route for you. If you have multiple allergens or some type of chronic allergic condition (eczema, asthma, seasonal allergies, etc), multi-allergen SLIT would be more helpful for you overall. SLIT would be a good initial foundation to calm down your immune system in general first if you are planning to later pursue OIT for one allergen in specific. If you need to know in real-time exactly what minimum amount of the allergen can likely be tolerated, OIT would be the better route for you. If your allergic child is very young, SLIT would be the better (and possibly only) safe immunotherapy option for you at this time. If your child doesn’t like the taste of the allergenic food, or if you cannot keep up with or don’t want to deal with the exercise, rest period, and other restrictions, SLIT would be the better option for you. Thank you so much for the opportunity to speak with you and your readers. For videos of Dr. Schoeder’s patients taking their medicine click here and here. Looks easy! “John, have you thought of performing a meta-analysis on those studies?”. I stared at the audience member who made the comment. Who was this bloke? What was a meta-analysis? “Interesting” I replied, biding time. “Let’s talk after the session”. Country meetings for medical societies are held from time to time. Melbourne allergists Dr Robert Puy and Dr John Bishop organised one entitled “The Asthma-Allergy Connection” in 1991. It was in the Barossa Valley, South Australia, one of Australia’s best wine regions. I had put together an old-fashioned descriptive review of allergen immunotherapy for asthma. Allergen immunotherapy consists of repeated increasing doses of allergen by injection (more recently orally) to reduce allergy, a technique first used in 1911. I described 8 studies of its use in asthma. At the coffee break, Dr (later Professor) Michael Abramson, who had made the comment after the talk, explained that a meta-analysis was a statistical assessment of a group of individual studies, something I had never heard of. After inviting our colleague Dr Robert Puy to join, we met regularly for the next 19 years, always after work hours, sometimes every 2 weeks, sometimes with greater gaps. Usually at my place. My role was the venue and supper, often pizza. Michael did the statistics. Robert was the one who pored through the papers. Well, we all did, but Robert had a knack of extracting the relevant sections. In a nutshell, we had to try to find every paper published on the topic, in all languages, and read them to see if they fulfilled the criteria for a randomised controlled trial. In the nineties it was all hard copies. Later it went online. Our first publication appeared in the American Journal of Respiratory and Critical Care Medicine in 1995. We ended up statistically analysing 20 papers. It was a bit of a coup. It was the first time that respiratory physicians had tentatively embraced an allergy paper in print. Prior to that time, with few exceptions, allergy was viewed as anathema by most of the academic respiratory fraternity. There were exceptions. I remember speaking at a meeting of the Thoracic Society of Australia in the nineties. The session was chaired by the late Prof Ann Woolcock, who is remembered as one of the world’s leading respiratory physicians. She was one of the early researchers into dust mite and mould induced asthma. She asked me a very important question: “Does pollen cause asthma?” It was clear that she believed it could. It’s a question that would never be asked in 2018, after the tragic consequences of Melbourne’s Thunderstorm Asthma day on 21st November 2016. Back then allergists saw lots of people with pollen induced asthma, and botanists in the 80s had already published the mechanism by which pollens can break up into tiny granules during thunderstorms and enter the lungs. But most respiratory physicians of the time did not believe that association. The discussion at that meeting was vigorous, with many from the audience denying pollen’s relevance. At Michael’s behest, we then submitted a later enlarged review to the Cochrane Collaboration, the repository of evidence-based systematic reviews. and submitted several revisions over the years. Our last review appeared in 2010. By that time we were able to analyse 88 studies. We were subsequently amazed to see a full page in Harrison’s Principles and Practice of Internal Medicine devoted to our results. John Weiner is a medical consultant in the diagnosis and treatment of allergic diseases and asthma. After completing his medical degree at the University of Melbourne, John obtained specialist qualifications in internal medicine (clinical immunology and allergy) and pathology (anatomical pathology). 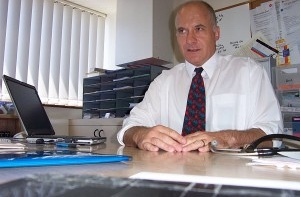 John is a Fellow of the Royal Australasian College of Physicians and the Royal College of Pathologists of Australia. For an earlier example of his work, read this account of his looking for allergies among American GIs stationed in Alice Springs. AAC: The new biologics all end in the letters mab, which stand for monoclonal antibodies. Can you explain to our readers what these are and how they are made? Purvi: These are specialized antibodies that bind to different parts of the immune system. They usually work by blocking the functioning of that part, in effect “switching it off” or otherwise lessening its activity. Our body has naturally occurring antibodies that help us fight invaders such as infections, inflammation, autoimmune and cancer cells. These antibodies augment or supplant the natural ones that may be going wrong. AAC: Can you explain how they work? Some of them work on IL-5, some on IL-13, for example. What does this mean? Purvi: Different parts of the immune system are responsible for different kinds of protection. These functions are important but sometimes can be detrimental when they are overactive such as in chronic diseases like asthma. Then you have a constant cycle of inflammation that can be dangerous for the body and its organs. IL-5 makes eosinophils, white blood cells that are important in fighting certain infections and parasites, but these are also one of the white cells that drives asthma inflammation. They are drawn to inflamed tissue in the airways where they help prolong an asthma attack. As the term eosinophilic esophagitis (EoE) implies they can also cause trouble in the GI tract. IL-13 is another inflammatory mediator. It is secreted by Th2 cells, the t-helper cells that drive allergic and asthmatic inflammation, as opposed to Th1 cells that drive normal protection from things like colds. Omalizumab, the original mab, works by binding an extra epitope to allergic IgE antibodies so they can’t attach themselves to mast cells properly, thwarting allergic reactions. AAC: For 40 years or more the go-to medicine for asthma was inhaled corticosteroids, and I suppose still are. Of course they didn’t work for everyone. How do you decide whether it’s time to switch a patient to, say, Xolair–an anti-IgE drug– or mepolizumab (Nucala)–anti IL-5? Or benralizumab (Fasenra) or reslizumab (Cinqair) also popular IL 5 agonists? Purvi: Usually we consider these drugs for those asthmatics who are uncontrolled despite their inhaled medications. What that means is despite their inhaled medications they are needing oral or injectable steroids – even one course in a whole year is deemed uncontrolled. Other signs of uncontrolled asthma are albuterol use more than 2x per week and nighttime symptoms including coughing, wheezing, chest tightness, and shortness of breath. Being uncontrolled puts you at risk of heart disease and death, but it also makes day-to-day quality-of-life very difficult. AAC: How many patients of yours have made the leap? And what are the results so far? Is it life changing for some? Purvi: We have quite a few – close to 75 in our Allergy and Asthma Associates of Murray Hill office alone. The results are definitely life changing – they have reduced need for oral and Injectable steroids, unscheduled ER or office visits and hospitalizations. They may even have saved lives as we know ten people die per day in the US of uncontrolled asthma. They have also reduced the need for inhaled steroids. Also it is nice we can now personalize medicine and treat people based on what drives their asthma. Moreover, by blocking allergic inflammation patients have benefited from better control of their nasal polyps, sinusitis, eczema and urticaria as well and reduced steroid need for these entities as well. Those different pathways aren’t specific to the lungs. And it’s very likely that an IL-13 drug, say, may affect 4, 5, or others. AAC: I hate to be crass, but because these things are so amazingly expensive I have to ask: how much of a hurdle is the insurance system when you prescribe one of these things? Can you give our readers an idea of what you go through? The company that makes Dupixent, which treats atopic dermatitis but is being studied for asthma, created a hashtag #DeniedRX so that patients could Tweet about being turned down. Is it a struggle to serve your patients? AAC: How do these drugs make their way to your practice? Do you hear about them in meetings? Read in journals? Reps? I went to a nice dinner in Bay Ridge a few years ago to hear about mepolizumab from a doctor from Yale–I was the only non-physician there so I guess that’s one format for education. And how do you decide to try them? Purvi: Through a combination of those avenues – our last AAAAi meeting focused heavily on biologics and the studies supporting them so I found it helpful to learn, especially about the new ones. My training laid the foundation. Because my fellowship was comparatively recent, these meds were already part of the discussion–I am more comfortable using these meds compared to the docs who trained before my time. Journals also are a great place to get evidence-based information. Industry reps are an excellent resource in learning of new treatments and expanding patient access but it is important and our responsibility as physicians to rely on the data from meetings, journals, and colleagues rather than going all in on a sales pitch. AAC: Thanks for your time as always. Dr. Purvi Parikh is an adult and pediatric allergist and immunologist. She completed her fellowship training in allergy and immunology at Albert Einstein College of Medicine’s Montefiore medical center following her residency at the Cleveland Clinic and is board certified by the American Board Allergy and Immunology, as well as the American Board of Internal Medicine. She works with Dr. Ehrlich at Allergy & Asthma Associates of Murray Hill. AAC: Welcome, Dr. Reisacher, to our website. Let me get started. I know that your invention was inspired by your own experience with food allergies. Could you tell us about your allergies and how they found their way into your work? Eureka moments always make for good reading. Bill: Thanks, Henry, it’s great to be here! It was tough growing up with peanut allergies, and I still have a couple of allergic reactions each year, but the daily struggle has made me stronger and more determined to fight this terrible disease. As an ear, nose and throat doctor who treats allergies, I frequently offer my patients a time-honored treatment to make them less allergic to respiratory allergies called immunotherapy. This often misunderstood and underutilized treatment can give you 20-30 years of benefit after the treatment is done, and helps people who are allergic to things like cats, dust and pollen. Immunotherapy, or desensitization, has been in use for about a century and can be given with weekly shots in the office or drops under the tongue containing concentrated protein extracts, but these techniques are difficult for adults, and particularly children, to maintain for the necessary 3-5 years. My “eureka” moment came when I was brushing my teeth one morning. I was thinking about an article I just read about the immune cells in the mouth and, as I stared into the mirror I realized that the foam was coating all the areas of the mouth where special cells, called Langerhans cells, are in highest numbers. If I could just get these extracts into a great toothpaste, then I could have a really safe and effective treatment for allergies that would also be easy to use every day from home. I almost choked on my toothpaste! AAC: Could you talk about the functions of the oLCs? What do they do normally and what makes them such a suitable induction point for the allergens? Also, do patients need to use any special brushing technique, apart from brushing thoroughly instead of the rush job kids are known to do. And how long do they have to brush? Bill: Oral Langerhans cells, or oLCs, are the key to successful allergy treatment. Normally, they collect proteins from the lining of the mouth and brings them back to the lymph nodes in the region, where the body learns how to ignore safe items, such as food. But for people with allergies, that does not happen to the extent it should, so immunotherapy can get those normally hard-working cells off the couch and send your immune system back to college! For the allergy toothpaste treatment, which I call oral mucosal immunotherapy, or OMIT, all it takes is regular tooth-brushing for 2 minutes every day. That’s how long you’re supposed to brush anyway! And if you have a hard time brushing for that long, there are toothbrushes that vibrate or play a song for 2 minutes to help you out. AAC: What are the mechanics of engaging the immune system and how do they differ from other forms of immunotherapy? Bill: When proteins enter the mouth, those that are not swallowed right away stick to the lining of the mouth like a magnet. The Langerhans cells gradually pull them underneath the surface just like fish in a tank after you drop the food in, but the proteins are too large to get into the bloodstream. This slow and steady exposure of the proteins to the body’s immune system is why OMIT is safe enough to be done from home. Allergy shots, while very effective, can cause more severe reactions because of the sudden entry of proteins under the skin. This is why shots must be done in the doctor’s office with an observation period of 20-30 minutes afterwards. AAC: How did you arrive at the formulation for the toothpaste? Did you experiment with different compounds and what went wrong? Was it trial and error or were you guided by basic chemistry? Bill: The first thing I learned about making toothpaste is that it’s not as easy as it looks. To say that the first attempts were salty would be an insult to salt! The next few versions came out either like mint-flavored soup, or something that could be used to dye the felt on a pool table! Commercially-available toothpaste would mix with the extracts, but the final product was too runny and broke down the proteins. While there certainly was a fair amount of trial and error, this process required a lot of knowledge about which ingredients mix well with others, and how changes in one will affect consistency, taste and foaming action. So, after many months of research, reading and advice from formulation experts and countless tooth-brushing sessions with my partners, the final version was complete! It was an extra thick base paste with all the detergents, abrasives, flavor and color, which became a normal toothpaste only after mixing with a certain amount of liquid allergy extracts. And the best news of all, the proteins were stabilized for over a year! AAC: You are working on a novel food allergy diagnostic. Everyone knows we need better diagnostics almost as much as we need better treatments. Can you tell us what this is about and why it represents a leap forward? Bill: The diagnostic test I am working on is based on a method I patented to isolate and measure the allergy antibodies from the cells that line the internal structures of the body, such as the nose or mouth. This way, the area of the body where the reaction is occurring can be tested, instead of testing antibody levels in the blood or skin. Through research generously funded by the American Academy of Otolaryngic Allergy (AAOA) Foundation, I’ve determined that testing in the symptomatic area can sometimes tell a very different story. Right now, I’m working on a test that can predict whether a person will have swelling or itching in the mouth and throat after eating peanuts. All it takes is brushing the gums in all 4 quadrants of the mouth with a soft brush, which can easily be done from home! In addition to making the diagnosis, this test might also help doctors decide whether it is safe enough for their patients to undergo other types of testing, such as an oral food challenge. AAC: What are the safety and efficacy records both of environmental and food allergens? Do food allergic patients react to the toothpaste? Any adverse reactions? Bill: Immunotherapy using environmental allergens is extremely effective with all delivery methods, as long as it’s done consistently for the required amount of time. Safety is also excellent in experienced hands, though severe allergic side effects occur more often with shots. Foods, on the other hand, are more likely to produce severe, life-threatening allergic reactions, particularly when they are swallowed. This is the reason why Intrommune Therapeutics, a NYC-based biopharmaceutical company, has begun the FDA-regulated process of developing an OMIT toothpaste with peanut protein to protect peanut-allergic individuals against accidental exposure. The incidence of this life-threatening (and quality of life-threatening) disease is rising dramatically, and currently there is no FDA-approved product on the market to help control it. Intrommune anticipates that side effects will be minimal because the toothpaste is not swallowed. And it doesn’t smell or taste like peanuts! AAC: Finally, you mentioned that you do standup comedy. Has standup influenced your clinical skills? Your research? And can you tell us one joke in your act that emanated from your allergies or your work? Bill: I’ve been doing stand-up comedy in NYC for the past 10 years, and it’s a great way to let off steam after a tough day in the office. When I’m up on the stage, I’m trying to make a special connection with the people in the audience, and I have the same exact goal in my office. When you can find that magical connection, everybody gets a good feeling! One way that comedy has helped me in my research is that it encourages me to try new things and view failure as merely the next opportunity to improve. Comedy and research are also similar in that you have to survive on very little money! Ironically, when I tell people about my allergy toothpaste for the first time, they usually laugh. This guy came up to me the other day and called me a professional nose-picker, so I told him, “That SNOT funny!” Thanks and good night, everybody – I’ll be here all week! William Reisacher, MD is a board-certified otolaryngologist, specializing in the diagnosis and treatment of airborne and food allergies in children and adults. Dr. Reisacher graduated from The Mount Sinai School of Medicine in 1994, with Distinction in Research, and completed his Otolaryngology residency at The New York Eye & Ear Infirmary in 2000. He is currently on the full–time faculty of the Otolaryngology – Head and Neck Surgery Department at Weill Cornell Medical College / NewYork-Presbyterian Hospital in New York City, where he is an Associate Professor and the Director of Allergy Services. Dr. Reisacher is a Fellow of the American College of Surgeons and a Fellow of the American Academy of Otolaryngic Allergy (AAOA). 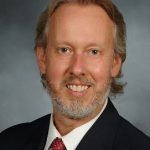 He has published numerous chapters and research papers, holds a patent in the area of allergy diagnostics, and has presented his work at both national and international meetings. 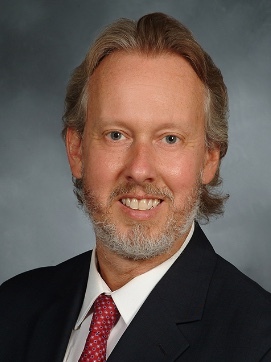 An Honor Award recipient for the American Academy of Otolaryngology – Head & Neck Surgery, Dr. Reisacher has served on the Allergy & Immunology Committee and Board of Governors, as well as the Board of Directors of the AAOA. He has also been an instructor and mini-seminar moderator for both academies. Dr. Reisacher has appeared on national and local news broadcasts, providing commentary on ENT/allergy topics, and has co-founded companies in both the biopharmaceutical and digital health-tech spaces. He lives in Manhattan with his wife and three children. Are we ready to LEAP–and will it be in the right direction? Both in the United States and around the world, guidance on allergen avoidance/introduction for the prevention of food allergies has changed many times, and in many directions, in the past few decades. Awareness of the guidelines is important to their implementation, but central to all of this is that the correct message should be conveyed to all involved. Unfortunately, word spreads slowly and sometimes incorrectly or in an incoherent manner. Therefore, many doctors and their patients are still living under old standards of care. What can we learn from the United Kingdom? In June 1998, the UK government’s Chief Medical Officer’s Committee on Toxicity of Chemicals in Food, Consumer Products and the Environment (COT) published a report on peanut allergy. The key recommendation of this report was that ‘‘pregnant women who are atopic or for whom the father or any sibling of the unborn child has an atopic disease, may wish to avoid eating peanuts and peanut products during pregnancy and breast feeding.’’ Our research from the Isle of Wight, UK, has subsequently shown that this advice has either been misunderstood by mothers, or that those who communicated the advice (i.e. health professionals) have not fully explained who it is targeted at all. Where are we going in the United States? In 2017, the NAIAD guidelines were published highlighting three distinct groups of infants with different levels of risk of developing a peanut allergy. Distinctive advice regarding the need for screening, age of introduction of peanuts and location for peanut introduction were issued for these groups. In short, these guidelines recommend early peanut introduction from beginning around 4-6 months in infants with either severe eczema and/or egg allergy (higher-risk infants), and around 6 months for all other infants (lower risk infants). Screening (skin prick test/specific IgE test) may be required for the higher risk group, followed by a food challenge when indicated, and no screening is indicated for the lower risk group. The nature of new guidelines is that they are always based on an evolving set of data and must necessarily been written with a degree of ambiguity, which of course can create confusion for both parents and professionals. As time goes by, various professionals try to hone the message. In this spirit, my colleagues and I, led by Dr. Matt Greenhawt, set out to explore how parents might introduce allergens in the first year of life. We also explored parental preferences of among 1000 current parents, and 1000 more who were expecting. We asked about their likelihood to consent to skin-prick testing and a food challenge to peanut in the first year of life. Study participants were randomly selected, from a nationally-representative sample who had completed a 32-item on-line survey. Among these primarily white, married, female respondents, about one-third had no-or-limited awareness of the new early introduction guidelines, two-thirds had no-or-minimal concern for their child developing food allergy, but about half of respondents felt that timing of introduction has moderate-to-strong importance for developing food allergy. Only a third indicated willingness to introduce peanut before or around 6 months of life and almost 60% of both parents and expecting parents were unwilling to undergo to consent to skin prick test (screening) of the infant before 11 months of age. This survey indicates that some parents may be more flexible about introduction food allergens by six months of age than in the past, but the majority of parents are still reluctant to feed the allergens to their infants at a young age and undergo testing or food challenges prior to introduction. It is, however, unclear if some of the questions were answered by the parents from an allergy perspective vs. a focus in the AAP/ FDA guidance on infant feeding. Dr. Carina Venter is currently an Assistant Professor of Pediatrics, Section of Allergy and Immunology at the Children’s Hospital Colorado and University of Colorado Denver School of Medicine, where she is conducting research and working with children and adults with a range of food allergies. Previously, she was appointed as an Assistant Professor/Dietitian at Cincinnati Children’s Hospital Medical Center. She is currently the chair of the International Network of Dietitians and Nutritionists in Allergy. She was a member of the EAACI food allergy guidelines on Allergy Prevention, as well as Diagnosis and Management of Food Allergy. She was also a member of the NICE (UK) food allergy guidelines. Since her arrival in the US, she was appointed to the expert panel of the National Institutes for Allergy and Infectious Diseases Peanut Allergy Prevention Guidelines. She blogs on https://carinaventeronline.wordpress.com, and she is a top twitter allergy activist at most international allergy meetings (@VenterCarina). Her previous contributions to this website can be found here and here. 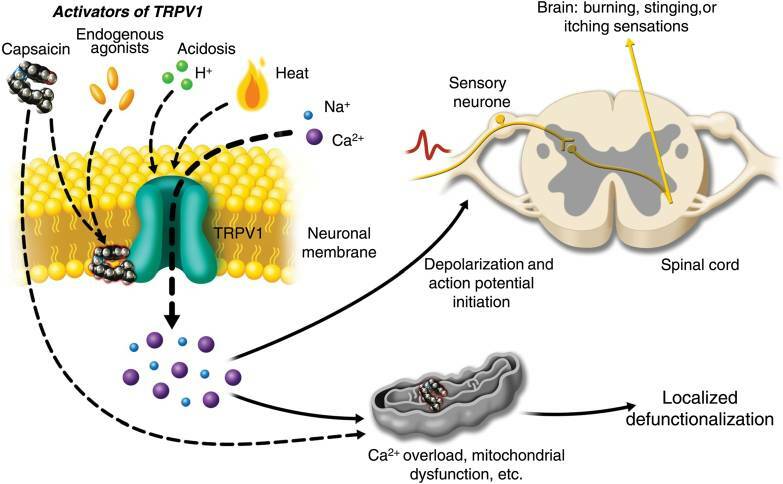 Welcome back contributor Jessica Martin who has written about the TrpV1 receptor for us before. She responds to Dr. Pete Smith’s ideas on anaphylactic risks from her special dual perspective as neuroscientist and food allergy mom. Even if you could design the “perfect” study, we’re still left with a beast of a phenomenon – anaphylaxis – which is highly unpredictable from person-to-person and even within the same person over time. If we go down the path of our “perfect study,” in order to answer this one question definitively, we would need each participant to – on different days over an extended period of time – be a part of both the spicy group and the non-spicy group. Oh, and it would be immensely helpful if we could repeat that process a few of time in each person because there’s so much variability even within the same person over time. Again, not going to fly. The problem with anaphylaxis is that it’s so highly variable that for the “perfect study,” you need a LOT of trials to pin down what’s actually going on and you’re still ultimately left with the question of what other factors are playing into the severity of an allergic response. I was recently reminded of this variability when my son experienced anaphylaxis to the sublingual immunotherapy tablets for grass allergy (Grasstek). He had been taking the same dose at roughly the same time daily for two weeks, when one evening, it just happened to progress rapidly to anaphylaxis. Up to that day, he only experienced an itchy mouth and throat, which are normal, common side effects of this treatment. What was different? Most of us living with the threat of anaphylaxis understand this variability and wants answers, but how do we get answers? The 2015 review article by Smith, Hourihane, and Lieberman raises many interesting factors that all may pile on top of each other to contribute to a reaction’s severity. In other words, “the stars align” in a cursed way. The article raises many possibilities derived from combining observations in patients and the molecular stew of signals known to be involved in an allergic immune response, but only tested on a singular basis in imperfect models. For example, one molecular receptor mentioned, TrpV1, has been studied extensively in cells that are grown in a culture dish. It’s best known to be found in nervous system cells that help us sense our environment and alert us to danger, but it’s found elsewhere, too, including cells of the immune system. 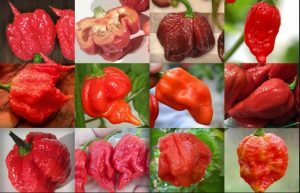 We know that this one receptor is promiscuous in that it is activated by many things – hot temperatures, the chemical capsaicin (the spicy ingredient in chili peppers), acid, immune chemicals involved in inflammation, just to name a few. This promiscuity explains why this one receptor may hide the sensation of immune mediators released early in an allergic reaction if spicy food is consumed at the same time. 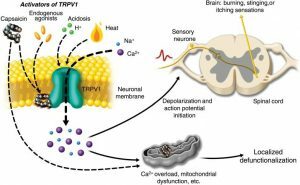 An allergic person perceives the “heat” and assume it’s the spicy food while continuing to eat more of the food, when in reality there’s much more going on in that molecular stew. Our nervous system doesn’t know any better. So what does it mean? Is it hopeless? Will these remain questions unanswered while continuing to fuel the mainstream myths surrounding risk of anaphylaxis? I’m looking at you, “but it’s only a mild peanut allergy so I don’t need to carry epinephrine!” Until we know more, can we just acknowledge how wildly unpredictable allergies are and just be prepared for responding to severe reactions already? As a society, can we lose the fear of using autoinjectors until it’s too late? Here are a few ideas to go forward. Can we somehow glean data from patients currently doing various forms of immunotherapy? The good thing about this is that at least one factor is controlled – a regular dose of an allergen in known amounts instead of unknown amounts during an exposure “out in the wild.” On top of this, my hope is that we can start taking advantage of powerful mathematical models to combine the molecular pieces that we do know in the singular and make combinations of those factorin silico. If predictions of many combined factors in a model start to mimic a bigger data set of observations from patients, perhaps we can get somewhere. Let’s see if we can string together the pieces of observations from all of us unfortunate enough to have suffered or watched someone suffer from these terrifying reactions. It’s not the perfect experiment but having more imperfect data may get around some of the issues making anaphylaxis such a hard problem to study. P.S. – As a quick follow-up: my son was ok after his reaction. We used his epinephrine autoinjector very quickly after he said his throat felt like it was closing, and the reaction began reversing just as quickly. He was chatting it up with the fire fighters and EMT’s by the time we left in an ambulance as a precaution. It had been years since we experienced a reaction of that magnitude and my son (and us!) learned that the injection “didn’t even hurt” and it worked fast. I can’t stress this enough – the injection is no big deal. It’s the reaction to fear. 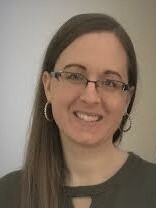 Jessica Martin earned a Ph.D. in Neuroscience from Oregon Health and Science University in 2011. She is the mother to two young boys, one of whom has multiple life-threatening food allergies. She lives in the Portland, Oregon area with her family where she teaches undergraduate biology and anatomy and physiology at Portland Community College. Jessica has a passion for education and sharing understandable, scientifically accurate information that encourages open, honest discussion. 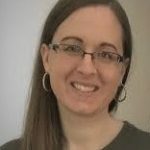 She is the author of the blog, The Food Allergy Sleuth. Readers of Asthma Allergies Children: a parent’s guide may recall this adage, which Dr. Ehrlich is fond of quoting, referring to the fact that “asthma” is not one disease but a set of symptoms from disparate sources, and thus may not respond to familiar treatments. One cornerstone of treatment for those who experience severe exacerbations is to respond to “yellow zone” peak flows (zone 2 in the UK) by stepping up doses of inhaled corticosteroids (ICS) by multiples of 4 or 5 to stave off hospitalization and doses of oral steroids. In analyzing two new studies of this tactic, a recent editorial in the New England Journal of Medicine by Philip G. Bardin, F.R.A.C.P., Ph.D. suggests that another bit of conventional wisdom should be retired. One study looked at children ages 5 to 11 with mild-to-moderate persistent asthma, all of whom all of whom had suffered at least one exacerbation in the previous year who were receiving low-dose ICS. Dr. Bardin concludes, “Overall, this commendable trial indicates that escalating the dose of inhaled glucocorticoids is a failed strategy to prevent exacerbations in children with early symptoms of asthma instability.” The second trial, done in the UK, involved adults and adolescents. 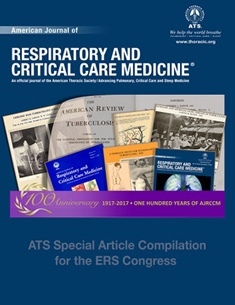 While the methodologies were different, Bardin says, “Evidence indicates that substantial escalation of regularly used inhaled glucocorticoids, even by a factor of 4 or 5, fails to prevent most asthma exacerbations.” Add to this concerns about the safety of ICS that have emerged over time and we have problems. AAC: Purvi and Paul—thanks for taking time to help sort out this new data. Paul, I’d like to ask you the first question. You have been in practice for longer. Can you give us a feeling for how standard of care has evolved for this kind of asthma presentation over the years? And Purvi, as someone who trained much more recently than Paul (sorry Paul) could you describe how this subject was addressed in your fellowship? Paul: Your question made me think back to my days as a house officer at Bellevue Hospital in the early 70’s. We saw many asthmatics dealing with a huge, poorer population in New York City when acute treatment consisted of theophylline given intravenously, IV fluids, oxygen and LOTS OF STEROIDS. As my good friend and former teacher Arnold Levinson said a few years ago at a meeting with the The New York Allergy & Asthma Society, things have moved slowly ever since the discovery of IgE by the Ishizakas—Japanese researchers whom I met at Johns Hopkins when I was at Walter Reed Army Medical Center. The use of theophylline has all but disappeared, and we still rely on corticosteroids. It is only in the past five years that we have added newer modes of care, but corticosteroids are still prominent. Purvi: During my fellowship, standard of care was evolving before my eyes. There was a push for using steroid-sparing agents such as Xolair (omalizumab). I trained at an institution that was doing clinical trials with the new monoclonal antibodies. Also, anticholinergic inhalers (tiotropium; brand name Spiriva), used for decreasing steroid use for COPD, were also effective with asthma so we incorporated them in treatment. AAC: Purvi, you said when we talked recently that this subject was discussed at the recent meeting of the American Academy of Allergy, Asthma, & Immunology. Can you summarize for our readers the general tone of those discussions? Purvi: There was a real buzz because now there are so many new treatment modalities on the horizon that target various parts of the immune system. This is exciting because we can provide better, personalized care for our patients and get many off toxic steroid doses. There was especially a lot of promise in those steroid-resistant asthmatics who may not be allergic but still suffer quite a bit. Some of these new modalities help control their asthma quite well. Also, we are learning what tests and biomarkers will help us identify the right drug for the right patient. AAC: Paul, you are the one who returns continually to your friend Dr. Gagliardi’s adage that the study of asthma is the study of one patient. That has been borne out over the years by the continual identification of new asthmatic phenotypes—i.e. the symptoms may look like classic allergic asthma but closer observation shows that this is not the case. The Bardin editorial points to asthma “linked to provocative factors such as viral or bacterial infections, nonadherence to treatment, allergen exposure, and environmental air pollution.” How do you tell the difference in your practice and how does it translate into asthma action plans for your patients? Paul: That is a great question, and Dr. Parikh and I can answer that very easily. I think of Dr. Gagliardi’s comment often which stated that each case is different, and, therefore, a complete history is crucial in formulating of appropriate treatment. When does the asthma get worse? When and where is it not a problem? When we get a referral from a non-specialist we look at the medication history to see what has worked and what has not. The side effects from each medicine and so forth. AAC: Purvi, we have seen tremendous strides in developing new biologics for asthma and other atopic diseases—the IL-5 inhibitor mepolizumab (NUCALA) comes to mind. To your knowledge what is the record of these new drugs in staving off exacerbations? Purvi: In addition to mepolizumab, we have also seen promise with benralizumab (IL-5 receptor antagonist) that is also approved. I am excited to see what will come from studies with dupilumab (IL-4Ra) and asthma as it has already worked wonders for patients with atopic dermatitis. These new drugs appear to be helpful in avoiding exacerbations in either patients who have failed other agents such as omalizumab or a particular set of eosinophilic asthmatics who may not all be allergic/atopic. We are learning the eosinophil plays a role in NON-allergic asthmatics as well from these studies with anti-IL-5 agents. These drugs are expensive, but insurers have seen the benefits that should translate into less emergency treatment that will save money in the long run. Purvi: Well, if you are needing even one course of oral or injectable steroid in a year whether from an ER, urgent care, or doctor you need to have a conversation with your doctor about other agents as just one exacerbation is considered uncontrolled. The same goes for nighttime symptoms, frequent rescue inhaler use, trouble with household chores etc. If your doctor keeps increasing the steroid dose in the inhaler itself, and you do not see much difference in your control you should see your doctor or an asthma or allergy specialist to see if there are better options out there for you. You may be one of these “Steroid resistant asthmatics” Asthma is not a one size fits all diagnosis. Paul: For many years, before and after Purvi and I began to practice together, I rarely had an asthma patient require emergency treatment. For allergic patients this usually involved better housekeeping and otherwise avoiding triggers as well as diligent peakflow metering and other good habit, as well as conscientious medication use. But I also saw a lot of stress-induced asthma (that’s a big one in New York City, occupational asthma, exercise-induced asthma, viral-induced asthma, and so forth that had little to do with allergic asthma. They will not be helped by these wonderful new treatments that Purvi has described. So patients and doctors still have to play detective and arrive at the behavioral modification that can ameliorate those symptoms. AAC: Thank you both for your time. Now get back to your patients. Dr. Purvi Parikh is an adult and pediatric allergist and immunologist. 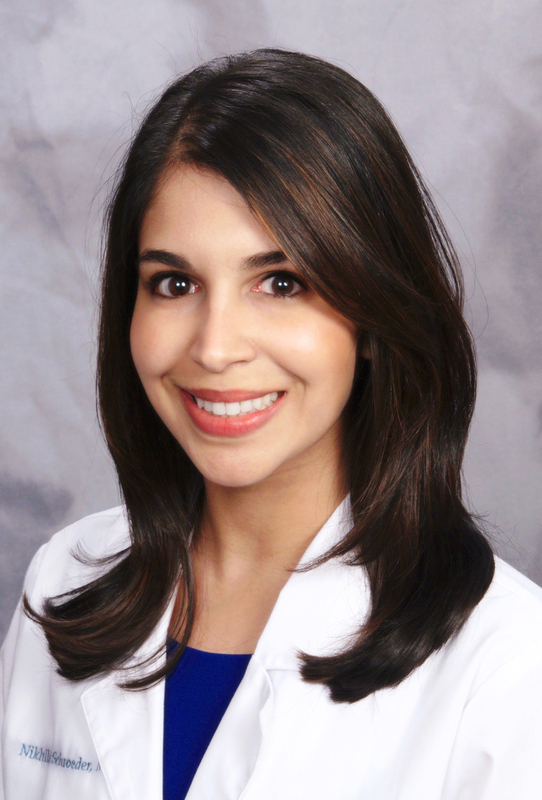 She completed her fellowship training in allergy and immunology at Albert Einstein College of Medicine’s Montefiore medical center following her residency at the Cleveland Clinic and is board certified by the American Board Allergy and Immunology, as well as the American Board of Internal Medicine. Dr. Parikh has published articles on allergy, asthma and immunodeficiency syndromes in the Annals of Allergy, Asthma and Immunology, The Journal of Gastrointestinal Cancer and is currently writing a chapter for an otorhinolaryngology textbook. Dr. Parikh has also presented research at various national and international meetings. She is passionate about health policy and sits on the health and public policy committee for the American College of Physicians. She also is a board member and founder of the Share and Care Foundation’s young professional committee, which raises money for underprivileged women and children in India. Dr. Paul Ehrlich is an author of Asthma Allergies Children: a parent’s guide and co-founder of this website. He works with Dr. Parikh at Asthma & Allergy Associates of Murray Hill in New York City.